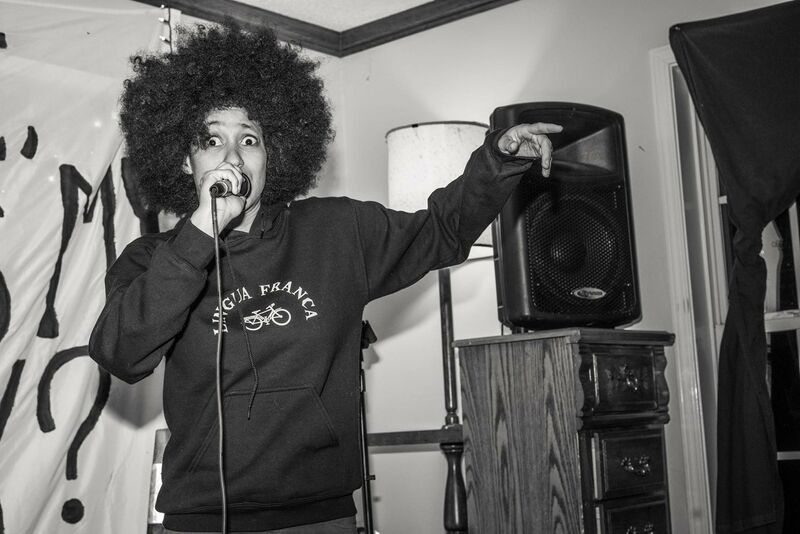 Lingua Franca is the hip hop project of Athens-based linguist Mariah Parker, whose scientific fixation with hip hop language is obvious in the intricate rhymes she interweaves with boom bap beats. Her lyrics, garnished with haunting neosoul hooks, tell unflinching tales of chemically-induced heartbreak, reproductive justice, racial politics and feminist swagger, and longtime hip hop heads will hear echoes of nineties New York underground in both her playful vocal delivery and piano-centric, classic R&B-inspired compositions. Her self-titled debut, released February 2017, was heralded as one of the most anticipated local releases of the year by Immersive Atlanta Magazine, and as well, Lingua Franca was named one of their 25 Artists to Watch for in 2017. In Athens, Lingua Franca was voted Hip Hop Artist of the Year in the 2017 Flagpole Athens Music Awards in addition to her nominations for Album of the Year and Artist of the Year. In December, the Lingua Franca EP will be rereleased on vinyl by Happy Happy Birthday to Me Records.